Rates change often. Give us a call for the most up to date rate information. 321.723.6206. American Mortgage is a locally owned, Florida Mortgage Broker. For over 25 years American Mortgage has been providing mortgage assistance to Florida communities. Our loan officers work with our clients to create a desirable mortgage that will best fit their needs and goals. Our Indialantic Beach, Florida, loan officers can provide you with an affordable Fannie Mae, Freddie Mac, VA, USDA, or FHA mortgage, for your purchase or refinance needs. American Mortgage Loan Services LLC is committed to helping you find the right mortgage product for your needs. We understand that every borrower is different, and we offer a variety of products to meet your individual requirements. We make the process of securing a mortgage simple and straightforward by offering you the latest in financial tools that enable you to make sound financial choices. Give us a call today at 321.723.6206. Specialists in FHA, VA, Jumbo, Purchase, Refinance, Fannie Mae & Freddie Mac Conforming loans & 203K Rehab Mortgages. 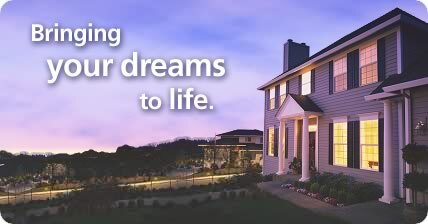 American Mortgage is here to help you achieve the American Dream of owning your own home. We offer Mortgage Loans for customers with various types of credit records. Whether you want a fixed rate mortgage, adjustable rate mortgage, a home equity loan, refinance, purchase, investment, second home, or debt consolidation, we have a loan for you with the lowest rates available. WE PROUDLY SERVE THOSE WHO SERVED US!! We at American Mortgage believe that there should be a home loan for every Hero! We take pride in the fact that we can help our Service members, Veterans, and eligible surviving spouses become homeowners. We offer VA Mortgages for qualifying individuals with a current VA Certificate of Eligibility. VA Mortgages offer 100% Loan to Value financing with low rates and better terms. Here is a list of Mortgage Loans we are experts in closing. We offer great rates, excellent service, and we really do succeed in catering to you, the borrower. Our Main areas of service include the Greater Brevard County Area, Melbourne Beach, Indialantic, Indian Harbour Beach, Satellite Beach, Palm Bay, Melbourne, Suntree, Viera, Rockledge, Port Orange, Vero Beach, Sebastian, Orlando, Altamonte Springs, Longwood, Tampa, Jacksonville, Ft. Lauderdale, MacDill AFB, Patrick AFB, NAS Mayport, NAS Jacksonville, NAS Pensacola, Florida. Thank you for visiting American Mortgage online. We are specialists in FHA loans, VA loans, purchases, and refinances. We hope you enjoy your stay today and gain insight about mortgages and other types of lending options. As a locally owned mortgage broker, we understand things the big banks don't and realize that only two things matter. First and foremost, that we provide impeccable service and are accountable to every need and request of our mortgage customers. Second, that we make sure our customers receive the lowest possible mortgage interest rate and fee structure that a mortgage company can provide. If you are looking for a mortgage broker that is going to exceed your expectations, then give Steve Mugar, our Indialantic Beach loan officer a call or apply online. We will tell you why we are different as a locally owned mortgage broker, what milestones to expect during the mortgage lending process, and how we work with you every step of the way. Again, thank you for visiting today. GIVE ME A CALL. I'M HERE TO HELP YOU ACHIEVE THE AMERICAN DREAM OF OWNING YOUR OWN HOME.